Play Worlds Collide MTN Dew Ice and Doritos Instant Win Game at dewanddoritos.com and win lots of amazing instant win prizes. 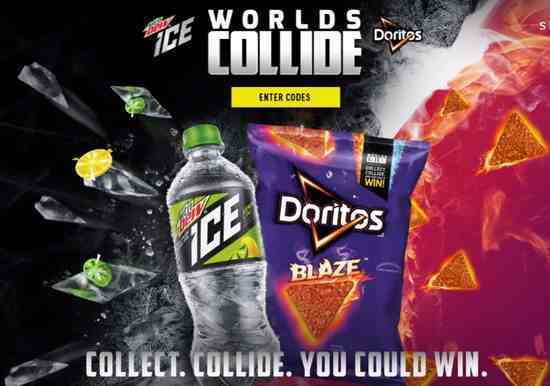 To enter this World Collide MTN Dew Ice & Doritos Giveaway. All you have to visit dewanddoritos.com sweepstakes page and follow up the on-screen steps. All the Best!